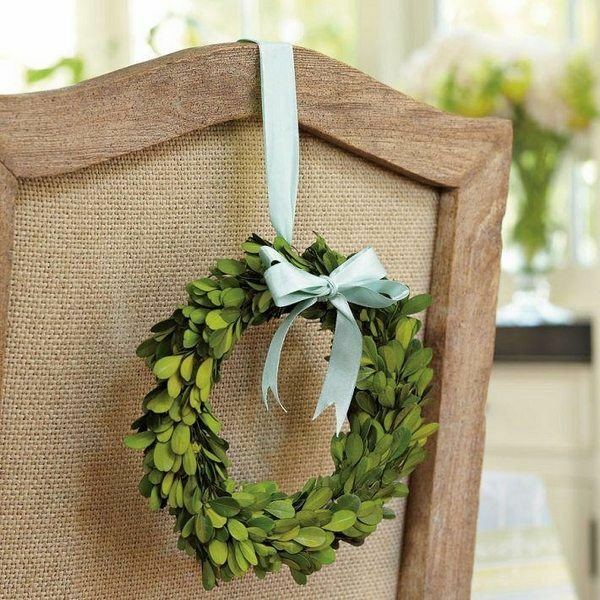 How to make a boxwood wreath? 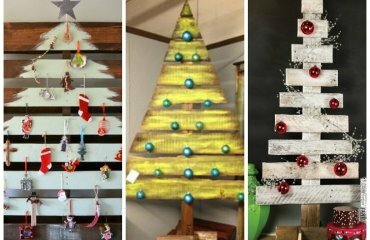 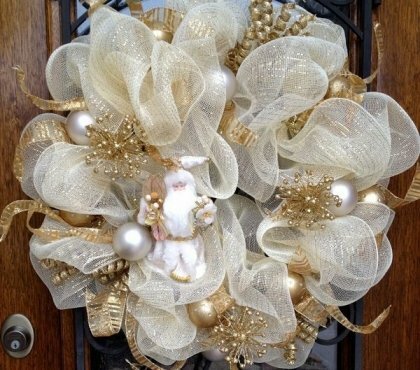 Crafting your own Christmas wreath may seem like a hard work but to people who want to have homemade Christmas decoration and are attracted to DIY projects, such a task will be greatly appealing. 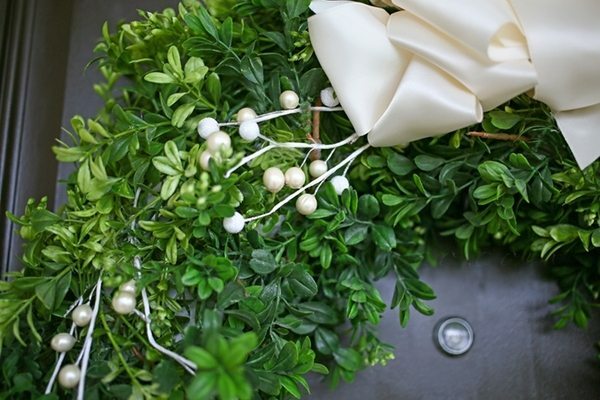 A boxwood wreath will be a very good choice for those who plan to their festive decoration in the traditional Christmas colors – red, green and white. 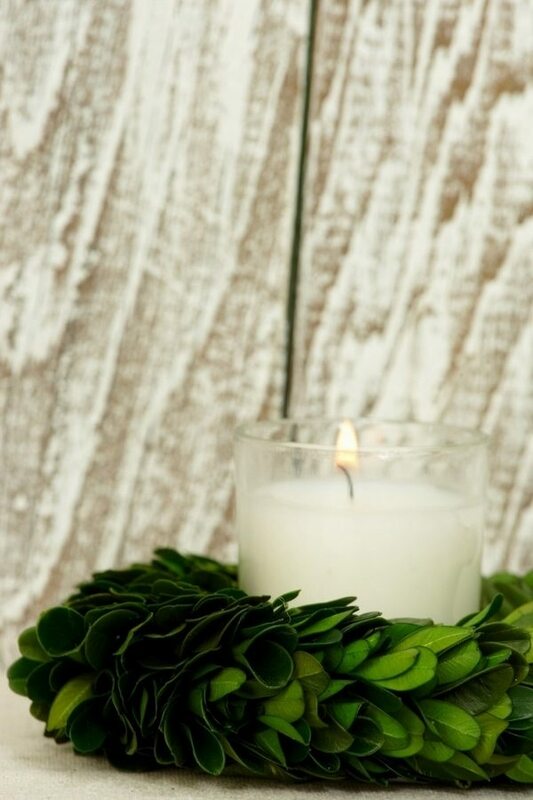 The freshness of the evergreen twigs will be an additional benefit. 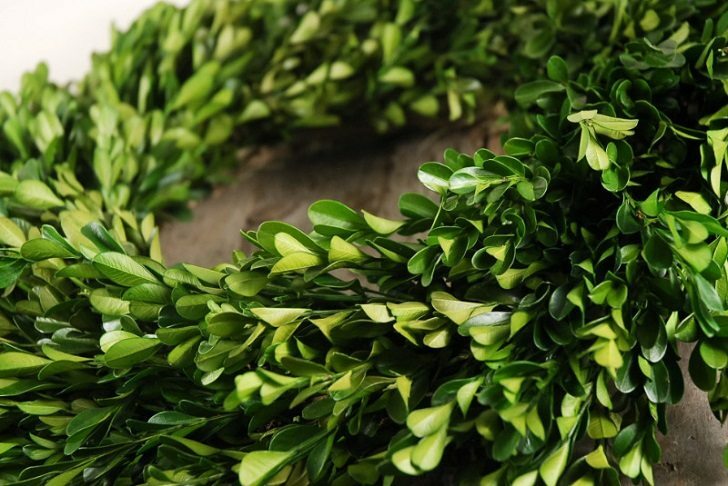 How to make a boxwood wreath and use it for the Christmas decoration? 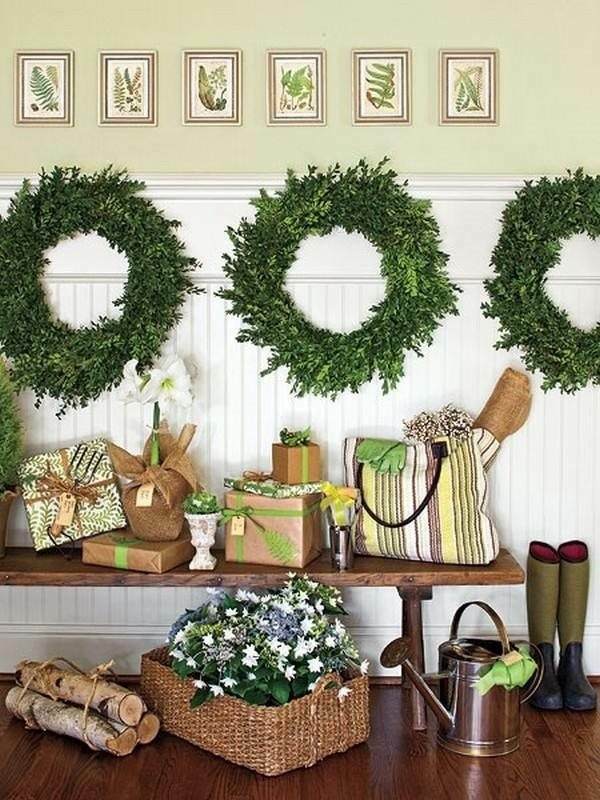 We will show you how to make a boxwood wreath and you will see different ideas how you can use various types of boxwood wreaths for the Christmas decoration of your home. 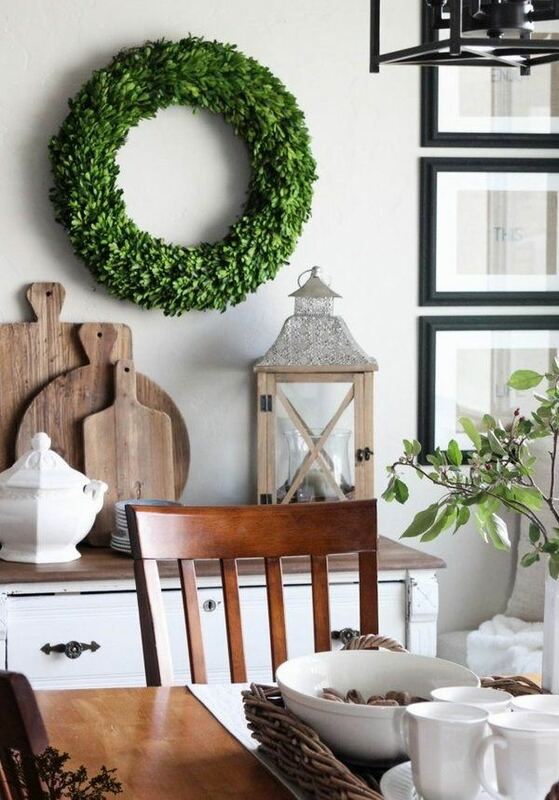 You can choose the traditional round shape or opt for a square shape – this will depend entirely on you. 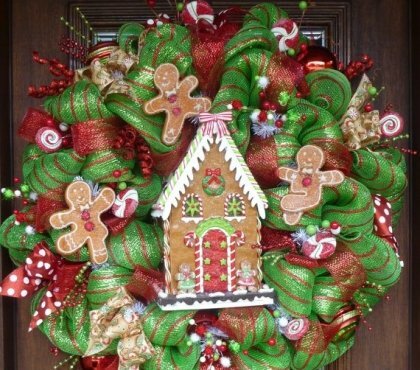 You can craft a large one or a number of small sized wreaths and use them in many creative ways. 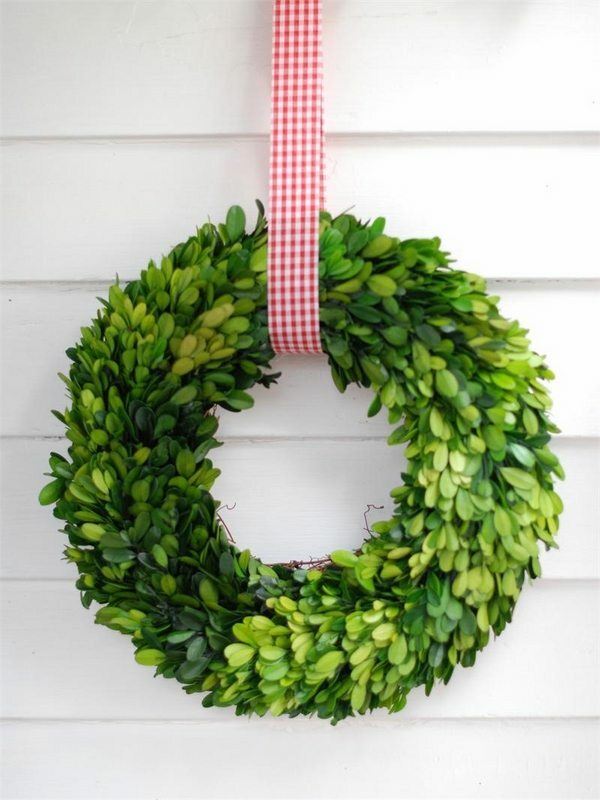 Obviously – a boxwood Christmas wreath can be the ideal front door festive decoration. 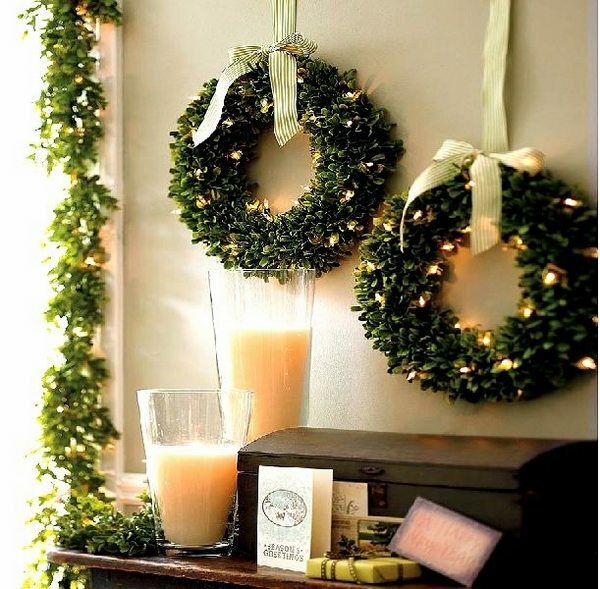 You can also hang your boxwood wreaths on the windows and combine them with garlands, candles and Christmas ornaments to create the most spectacular Christmas window decoration. 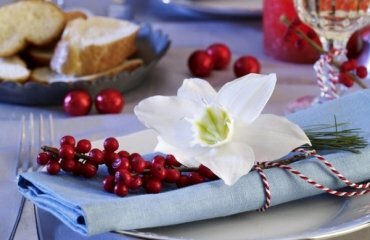 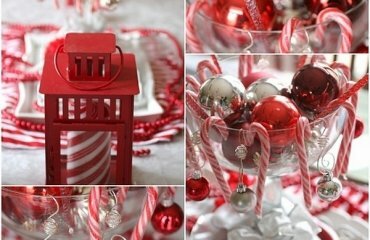 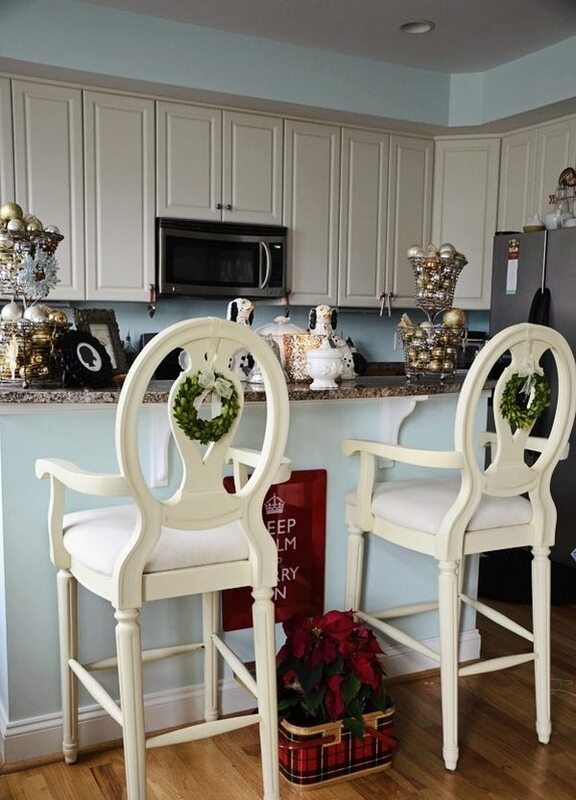 Another idea is to decorate the festive table or the chairs for your Christmas dinner with the family. 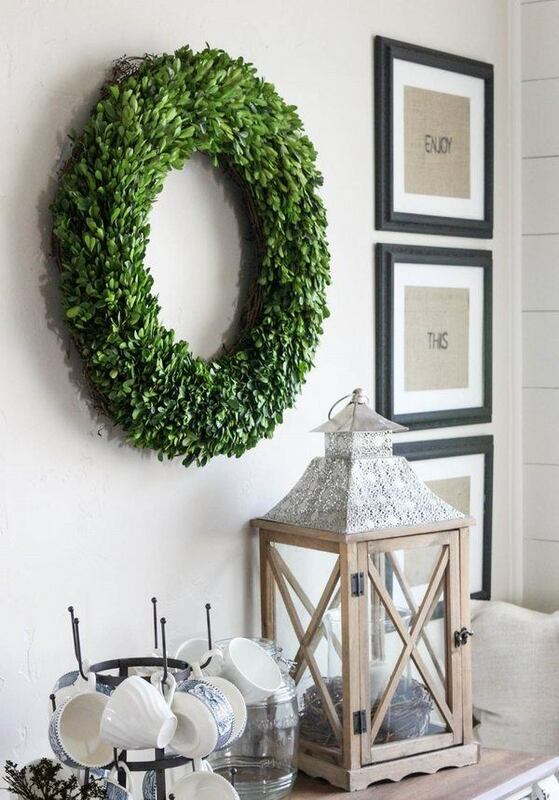 The gallery below will give you many ideas for the size, thickness and the ways to incorporate boxwood wreaths in the festive decor of your home. 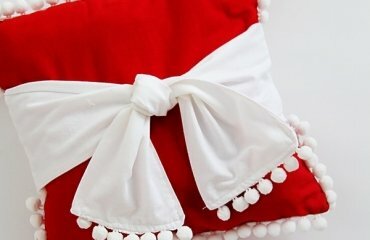 wide satin ribbon and embellishments to finish the wreath. 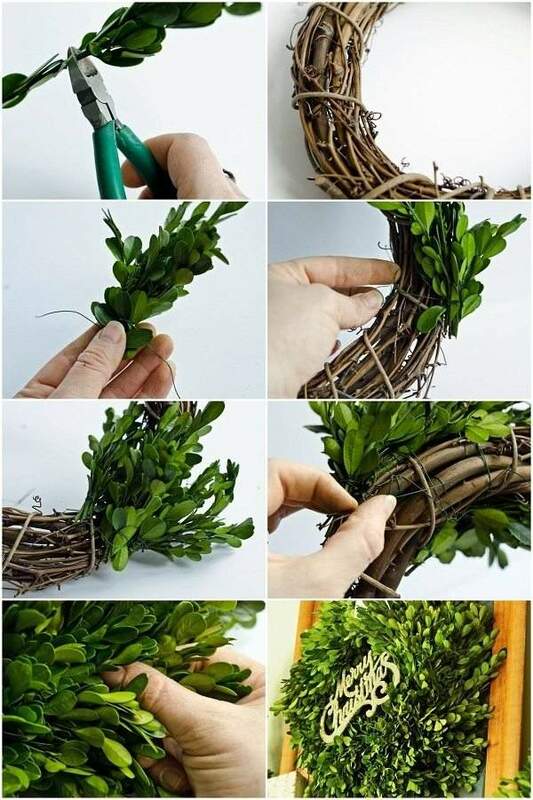 Use wire cutters to cut the branches about 10-12 cm ( 4-5 inches) long. 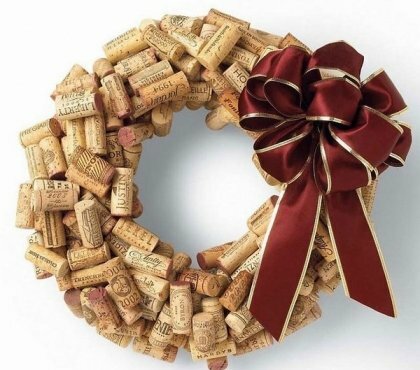 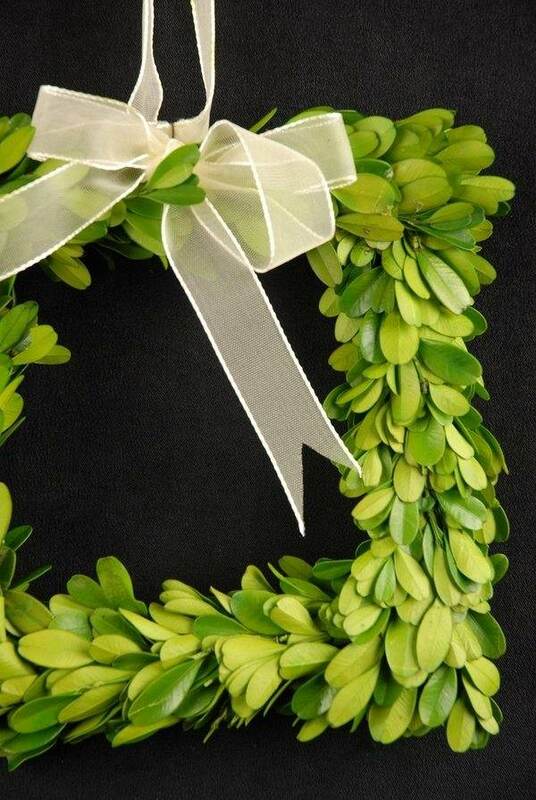 You may use thin foam strips which will keep the moisture and the freshness of your wreath. 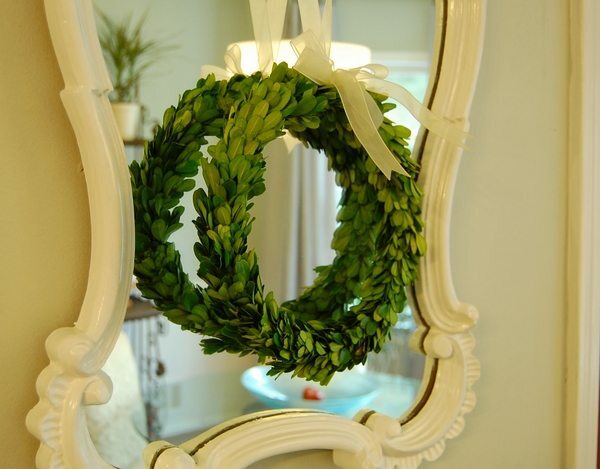 Place the sprigs on the entire length of the wreath so that the ends are hidden. 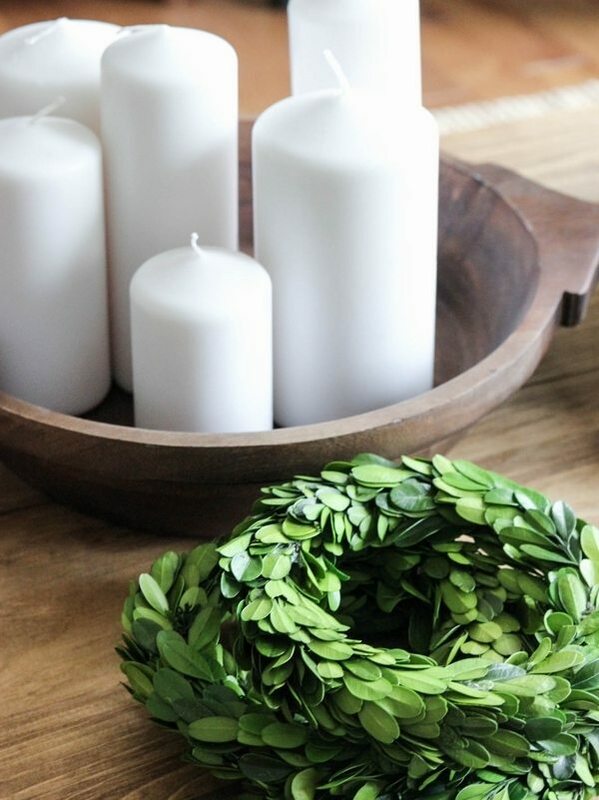 Then fasten the ends of the branches with the help of a green thread or wire. 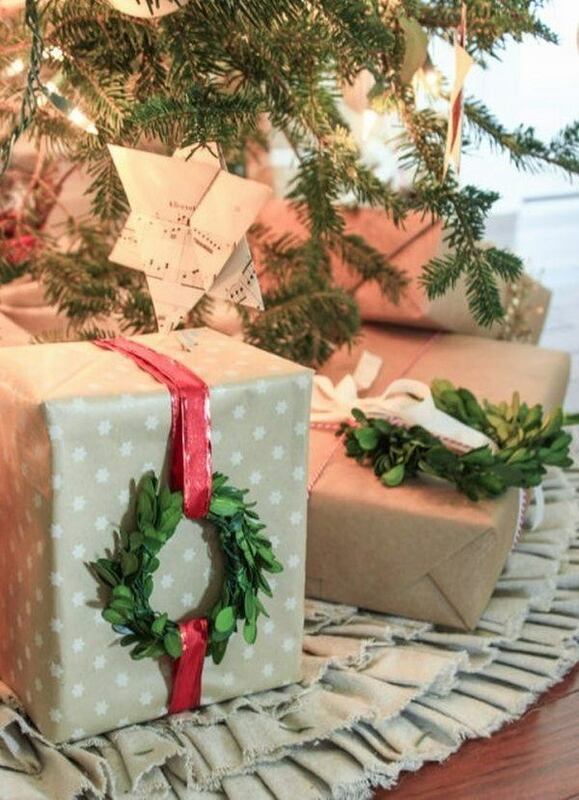 Decorate with branches with berries or cranberries, pine cones, red Christmas ornaments or any other embellishments. 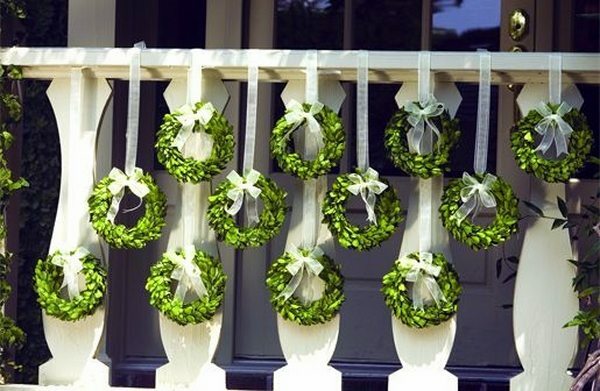 Tie a beautiful ribbon and hang the wreath on the front door, on a wall, above the fireplace, use it as a table centerpiece, etc. 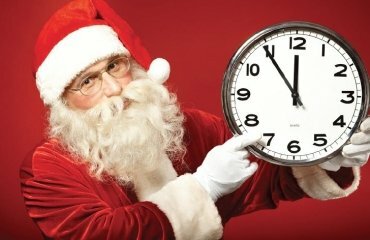 Remember to wet the foam strips to keep it fresh.